Check out our ProVision graph templates built especially for recording interharmonics. Analyzing interharmonic data is a complex process, due to the large amount of information recorded. 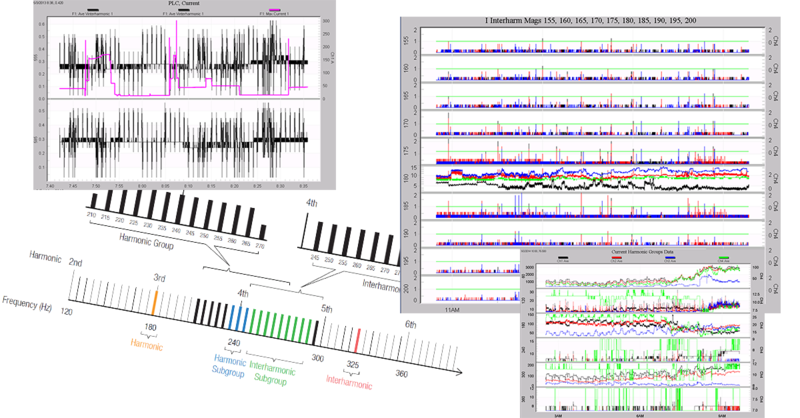 ProVision 3D graphs help for quickly identifying specific interharmonics that merit a closer look, but analyzing individual interharmonics requires a custom graph template. This white paper presents a series of pre-built graphs for all 600 interharmonics, along with harmonic and interharmonic groups and subgroups. They can be invoked directly, to quickly examine every recording interharmonic, or used after isolating specific ones from the 3D graphs for more detailed analysis. These graph templates are especially useful when combined with other stripchart data.